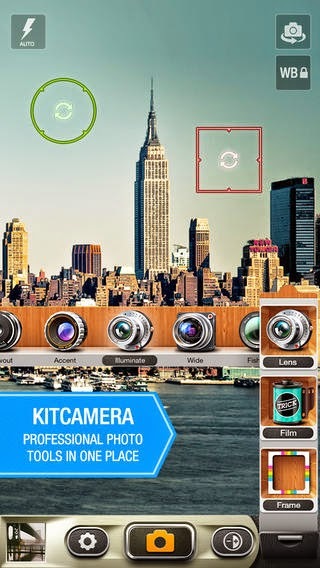 Developer Quote: "KitCamera is a professional app for your iPhone, iPad, and iPod that will help you create unique, high-quality photos and videos. " Choose any ratio from 4x3, 1x1, 3x2, or 16x9. 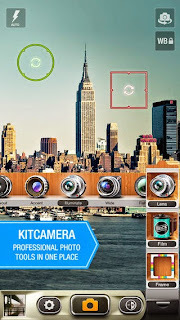 KitCamera. is so easy to use. Once you open the app, just use your toolbar on the end of the screen to start playing with your pics. The settings gear wheel brings up options for video, standard photos, stabilizer, multi-exposure, multi-shot, night snap and more. Enjoy continuous shooting or high speed resolution. 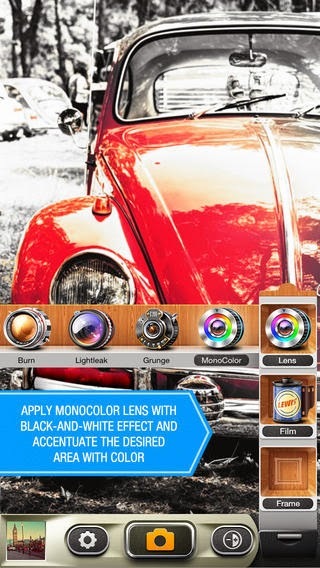 Take your photos to a whole new level with this very detailed and comprehensive photo app. Enjoy splashes of color and dramatic photographic editing with KitCamera.